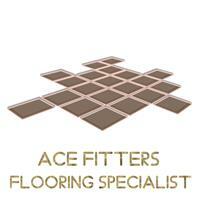 Ace Fitters Limited - Carpets/Flooring based in South Croydon, Surrey. Here at Ace Fitters we are quality flooring specialists who can supply a range of top quality flooring or fit your existing products. We have been established for 15 years and have 23 years’ experience in the flooring trade. This experience allows us to provide a flawless finish using the best materials that have a proven track record of long life, durability and value for money. We supply and fit all flooring from solid wood , engineered wood, Karndean, Amtico and all vinyl tiles. We use quality products from quickstep who cannot be found on the high-street and are not made in china, this results in a longer product lifespan with a 25 year warranty. We also specialise in Carpet fitting and have a vast choice of different styles to suit your home. Unfortunatley we only fit carpets that we supply. Our small team are friendly and enthusiastic about our business and believe in the products we offer. You will be regularly updated throughout the design and installation process. We would love to hear from you to discuss how we can help with your future projects, please call or email Jack directly.